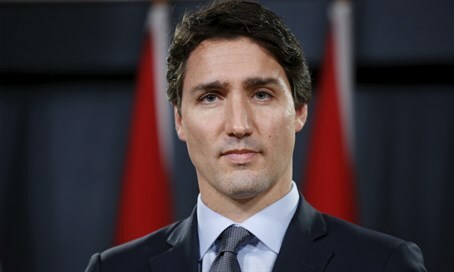 Canadian Prime Minister Justin Trudeau of the Liberal Party has already made a number of eyebrow-raising statements since taking office last November, but on Sunday CIJ News revealed yet another questionable sentiment he raised twice in TV interviews in recent months. In the two interviews, both with CBC, Trudeau insisted that Islam is "not incompatible with the Western secular democracy." In the most recent interview on January 31, he said "we need to make sure that we’re working with communities like the Muslim community, for example, to demonstrate that Islam is not incompatible with free and open Western societies." The statement echoed his words from another interview last November 24, when he said, "Canadians are quick to point out that ISIS is wrong, that Islam is not incompatible with the Western secular democracy, a free place like Canada." CIJ News went further in documenting the trend by pointing out a video message from Trudeau to the annual Reviving the Islamic Spirit convention at the Metro Toronto Convention Center last December 25-27. In the message, Trudeau said the convention "is also about celebrating our shared beliefs in justice, fairness, equality of opportunity and acceptance. The work you do in communities across the country is what builds and strengthens our multicultural fabric." Trudeau's stance towards the Islamic world has been raising question marks. Last Tuesday he was grilled in parliament for proposing to give UNRWA $15 million despite its well-documented ties to the Hamas terrorist organization in Gaza, and largely ignored the question on the topic. In more questionable behavior vis-a-vis Hamas, Trudeau appointed Omar Alghabra as Parliamentary Secretary to the Minister of Foreign Affairs; Alghabra was previously the head of the radical Canadian Arab Federation (CAF), which ran afoul of the state for its open support of Hamas. Last month amid heavy concerns that jihadists and rapists have infiltrated the massive influx of migrants from the Middle East to the West, Trudeau defended his policy of mass immigration, saying he is confident in people who "don't think a lot about politics, don't think a lot about terrorism."